Despite the scorching heat of this desert land, Mount Abu in Rajasthan gears up for a chirpy peppy summer festival in the month of May. With an initiative of the tourism department, the municipal board and the District Administration, the festival starts on the auspicious day of Buddh Purnima. The festival aims to commemorate the onset of summer and celebrate the zeal of buoyant, warm and hospitable nature of Mount Abu people. 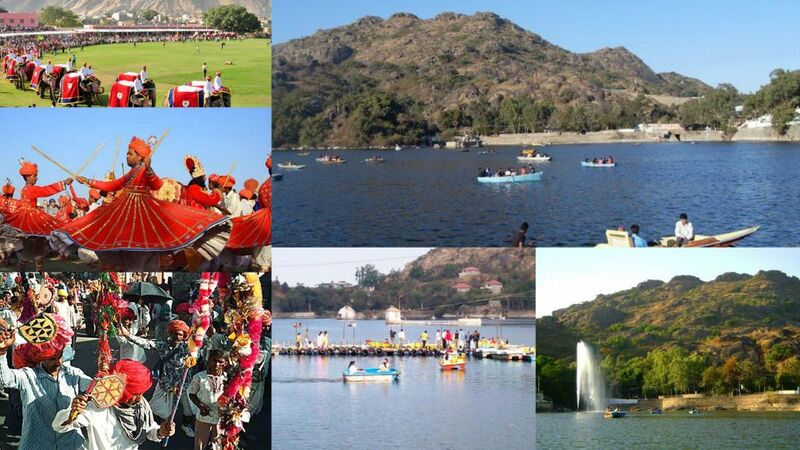 The cultural shades of colorful Mount Abu harmonize pretty well with the arrangement of the festival. This 3-day long festival starts with a grand fashion with a ‘Mount Abu Carnival’ or a ceremonial procession. Commencing from RTDC Hotel Shikhar, people assemble at Nakki Lake Chowk. A fascinating musical performance takes place near the lake post procession which is followed by traditional folk music and dance performance like Ghoomar, Gair and Dhap. A host of renowned professional artists take part in the cultural event. The picture of the first day of the festival leaves an enchanting image in the eyes of the visitors and participants making them eagerly wait for the second day. The second and third day of the festival seems more joyful and interesting because a good number of engaging activities and competition takes place among the people. Activities like Skating Race, Skater’s Show, CRPF Band Show, Tug of War, Horse Race, Boat Race, Panihari Matka Race and Deepdan are part of the 3 day event. People seem to immerse in amusing cultural- social sea of Mount Abu as these fun-filled activities add a charismatic appeal to the festival. When is the Summer Festival of Mount Abu? A stunning beginning promisingly leads to an exhilarating finale with a grand show of fireworks. On your visit to this sole hill station of the desert land, you are assured to feel the refreshing soothing vibes in the serenity of Nakki Lake and harmony of the steep mountain slopes. The rhythmic panoramic environment will leave some vibrant memories of this colorful event forever.